This year on the 25th of April I will be participating in the Dewey's 24 Hour Read-A-Thon which is exactly what it sounds like: reading for 24 hours. 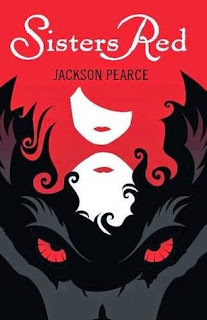 Sisters Red by Jackson Pierce (344 pages/498 iBooks pages) which will get me started on the Fairytale Retelling Challenge. 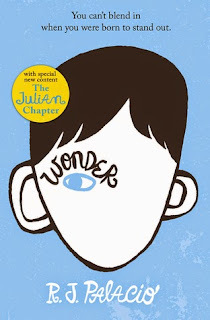 Wonder by R.J. Palacio (315 pages) in order to get another book under my belt for the Dive into Diversity challenge. Winger by Andrew Smith (438 pages) this is where things are subject to change. I'm going to be reading this book in April as part of a buddy read so I might be inclined to start this before the Read-A-Thon starts but if I have not started the book yet and I have finished the others then I shall make a start on this book to complete another book in my buddy read category. During the course of the Read-A-Thon I will be updating this blog every 3 hours with notice of how I am doing and how many pages I have read. Within each of these posts there will be 3 sections (one for each hour) and I will say what I am currently reading, how many pages I have read, what I am thinking about the book and any challenges I have taken part in (I have not decided yet whether my challenges will be on seperate posts). I will also be updating and sharing thoughts on my twitter if you would prefer to see updates that way you can follow me on there. If you wish to take part Sign Up is here. If you are looking for more information the FAQ is here. Start times are located here.